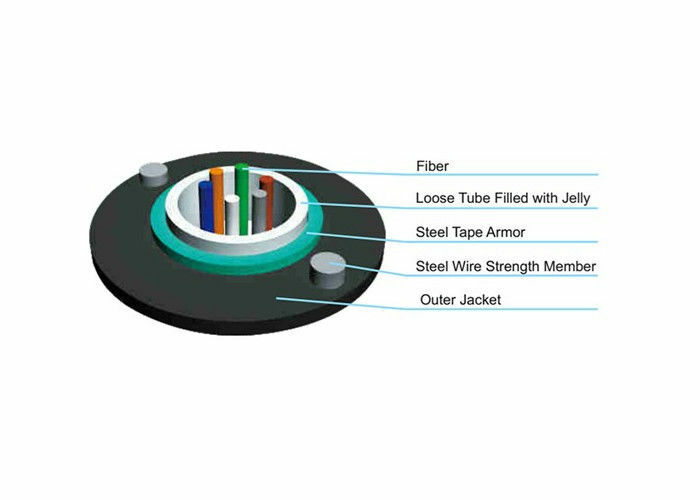 The fibers, 250um,are positioned in a loose tube made of a high modulus plastic. The tubes are filled with a water-resistant filling compound. The tube is wrapped with a layer of PSP longitudinally. Between the PSP and the loose tube water-blocking material is applied to keep the cable compact and watertight. Two parallel steel wires are placed at the two sides of the steel tape. The cable is completed with a polyethylene (PE) sheath. All data in the table are for reference and subject to change without notification. Special tube filling compound ensure a critical protection of fiber. 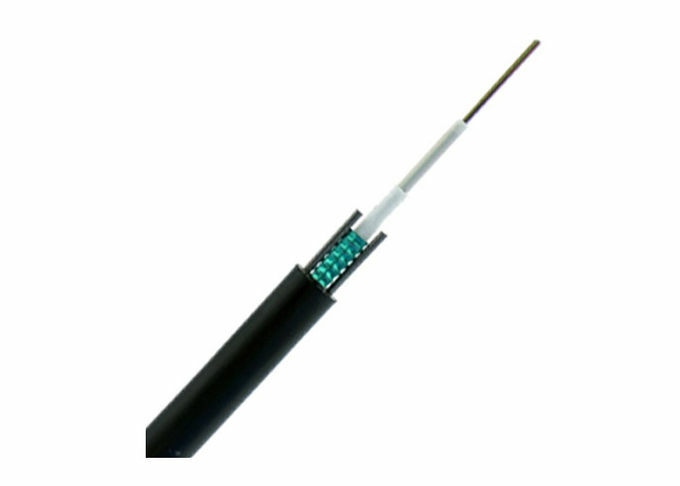 Small diameter, light weight and friendly installation. Two parallel steel wires ensure tensile strength. Applicable to different environment condition, with the laying methods of duct, direct buried and aerial. Adopted to core network, metropolitan area network, access network, etc. Any question will be replied within 24 hours. Professinal manufacture,Welcom to vist our company. OEM/ODM is avaliable(As required print logo and customized color). or you can call your courier to pick up from our office. The cable marking can be as required to printing? Yes,You have only to give us your marking.